I love to fly on airplanes. Mainly because I love to travel. The actually plane ride tends to make me a little sick. The take off and landing are rough for me, and if there is any turbulence at all, my stomach does not appreciate it. But I still love to fly on airplanes, because it is a means to an end; a passageway to adventure. It’s always the same routine when I fly. I check my bags; go through security; buy some water, gum and a trashy magazine, and I’m on my way. The last time I flew, the flight attendant was giving the speech that they always give right before take off. (You know, this one.) She pointed out the exits, and gave us instructions on how to fasten our seat belts. She came to the part about the oxygen masks and explained how to put the masks on and how to get the oxygen flowing. Then she came to the part that always gives me pause. She said, “Be sure to adjust your own mask before helping others.” I always want to raise my hand at this part and say, “Wait, but if I’m traveling with my children, of course I’m going to put their masks on first! What kind of mother would I be if I put my own mask on first?” It makes me feel like a terribly selfish person to think of taking care of myself first in this scenario. 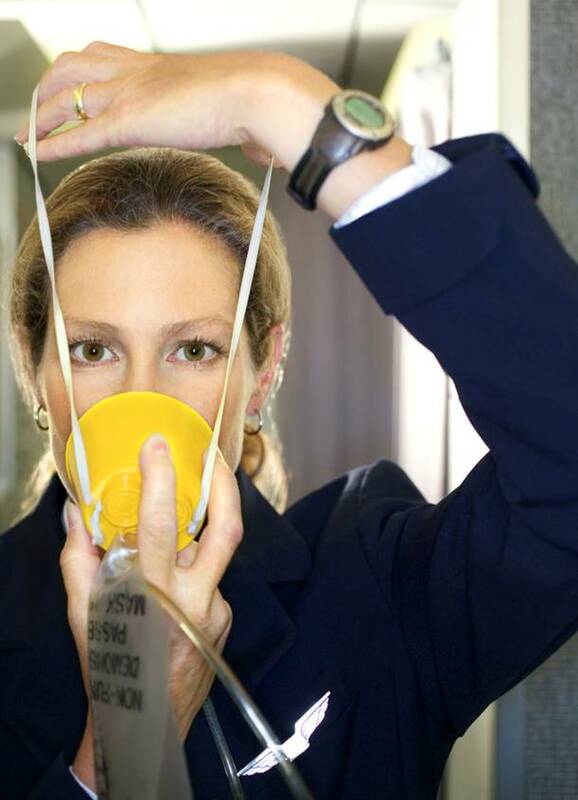 It occurred to me that if, heaven forbid, we ever had to use those oxygen masks, if I put the masks on my kids first, I could potentially pass out from lack of oxygen, and then I wouldn’t be of any help to anybody. Resentment is like taking poison and hoping the other person dies. I had heard this little quote years ago, and it always resonated with me. It wasn’t until I got really honest with myself that I realized I had been poisoning my soul with resentment for years. Resentment was my twisted version of hope. I thought it would bring about the change I wanted in those around me, but all it was doing was slowly killing my spirit. Forgiveness is the antidote for resentment. Oh Forgiveness! How I fought you. I thought forgiveness meant I was giving up. How would I ever get what I wanted if I forgave someone for what they weren’t able or willing to give me? When I finally gave in and truly forgave, freedom was there for the taking. I experienced freedom from resentment for the first time in years. It felt like a huge weight had been lifted from my shoulders. The most amazing thing began to happen. As I began to learn about myself and discover how I got to where I was, I began to change how I did things and how I viewed my life and the world around me. As I forgave and let go of resentment, this man of mine and others around me began to take notice of my change, and they in turn began to change how they interacted with me. The change that I had been so desperately trying to bring about in others was beginning to happen naturally as a result of me putting my mask on first. For the first time I was indeed able to then help those around me in a constructive, affirming way that I was never able to accomplish before. Turns out it’s not selfish at all to put my mask on first, and they tell you to do it that way for good reason!